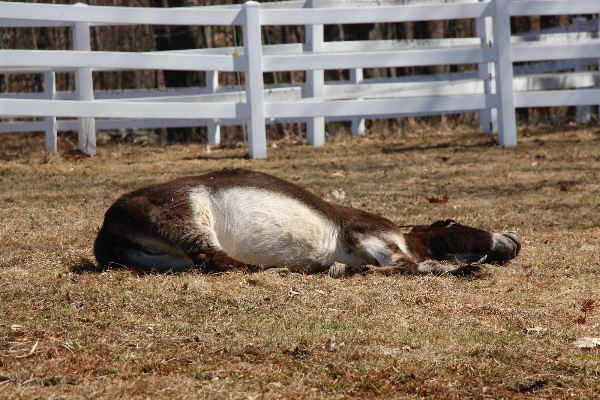 The arrival of spring is always a time of new beginnings for plants and animals, and this year, spring also brings a fresh start for New England Equine Rescue North. After years of uncertainty about our future, we have purchased and are now settling in to our new facility at 52 Ash Street in West Newbury, a safe and sustainable home for our rescue operation for years to come. It’s hard to overstate the positive impact of the move on our ability to fulfill our mission. 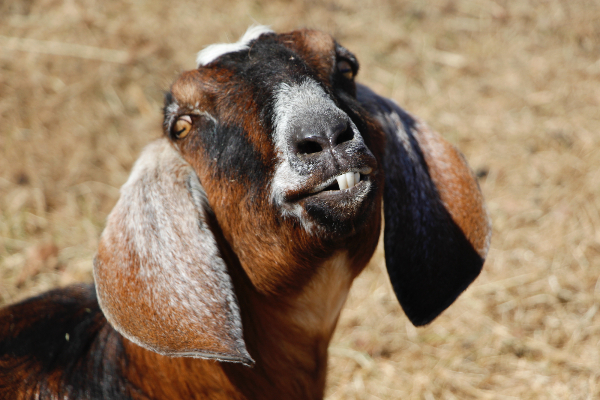 With safe fencing and better shelters, a brightly lit barn, frost-free hydrants, our own hay field, and enough pasture space to allow our rescues to relax and roam, animals and volunteers alike are looking at a future full of possibilities. To everyone who contributed to NEER North’s Home of Our Own campaign—donors, in-kind givers, volunteers, businesses, and financial institutions—thank you for helping to make our dream come true! 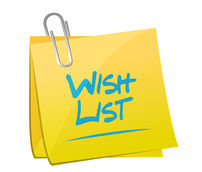 In this newsletter, look for updates on the status of some of our rescued equines and a wish list that reflects ongoing and new requests. One wish in particular—a tractor with a bucket—is especially needed to help us manage chores in our expanded pasture space. 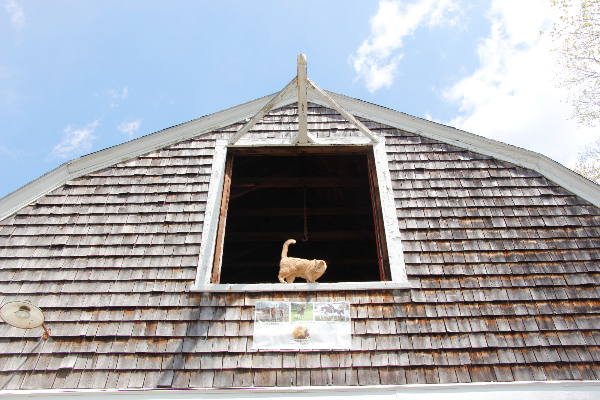 Also look for details of our June 13 Open House. 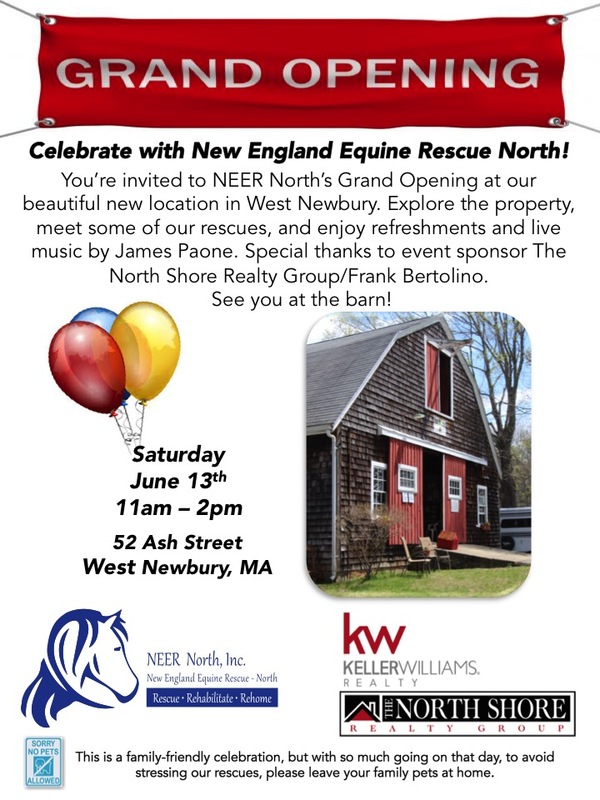 Featuring live music and refreshments, this event will be a chance to celebrate NEER North’s new beginning together. Hope we see you there! As you can see, everyone is relaxed and happy! Here's our new logo! We think it captures the spirit of NEER North's forward-looking mission and hope you agree! A tractor with a bucket!!! 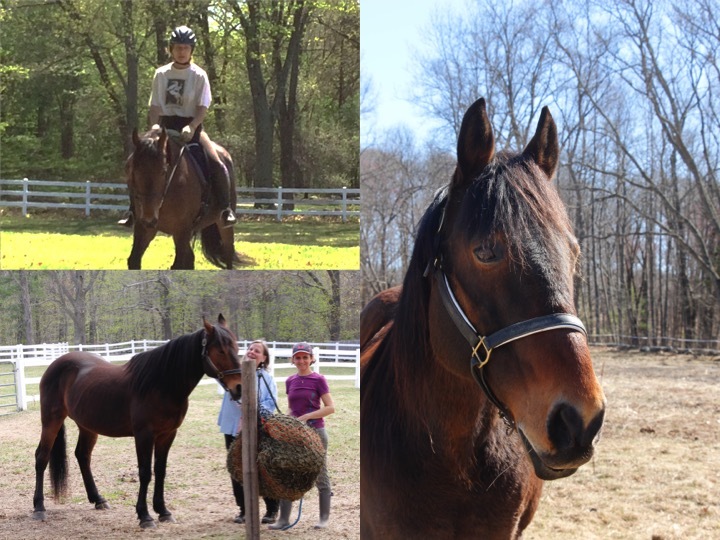 We recently welcomed Reggie, a very handsome bay gelding, standard bred, around 20 years old, 15.2 hands. He has a sweet personality, is good on trails, and comfortable W/T. He needs a person who will give him confidence and finish some training. Our fancy mare Mazi has attracted a lot of interest lately. 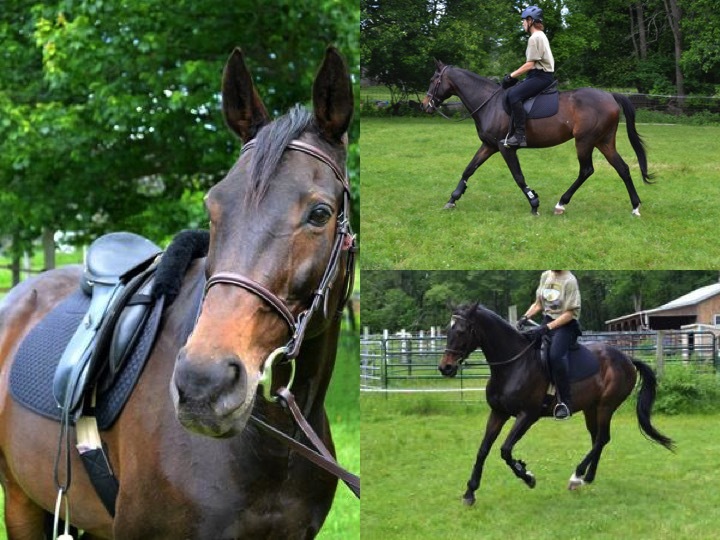 A 13-year-old, dark bay Thoroughbred, Mazi is 15.2hh. She has had training and is very obedient in the ring. Needs an intermediate rider. Please see our Web site if you are ready to give Mazi a forever home. 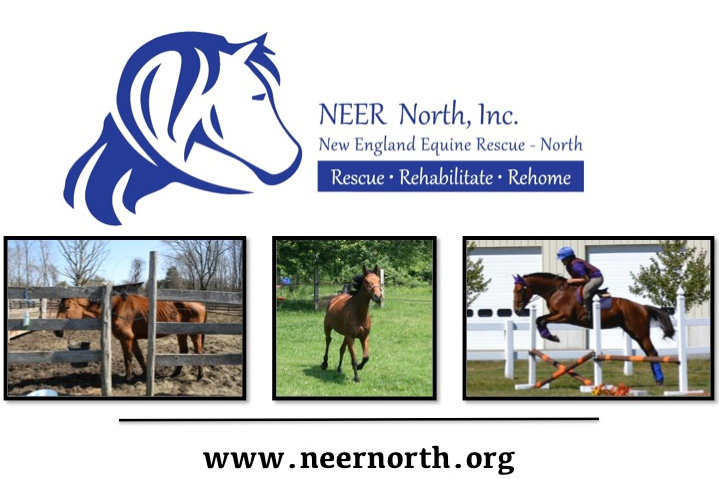 The best outcome for all NEER North equines is placement in forever homes. From the first day our rescues arrive, we start working to restore their health, gain their trust, and resolve any behavioral problems so they are ready for a fresh start with owners who will love and care for them. Happy News: Three of our rescues have recently been adopted! Our mini donkey Nugget has found a new forever home in Ipswich, where he is now keeping company with a very cute chocolate mini donkey. 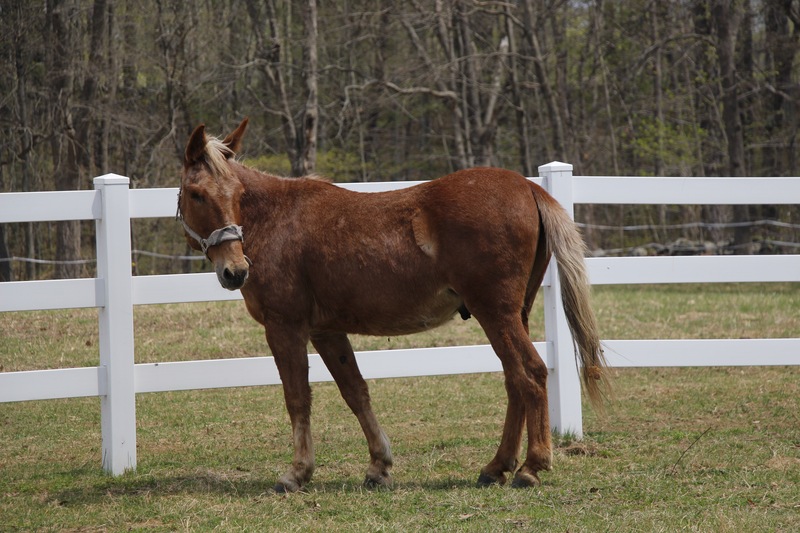 Triscuit, a friendly Haflinger gelding, has been adopted in Newbury. 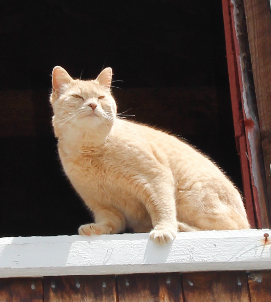 He’s being doted on by the whole barn and loving it. 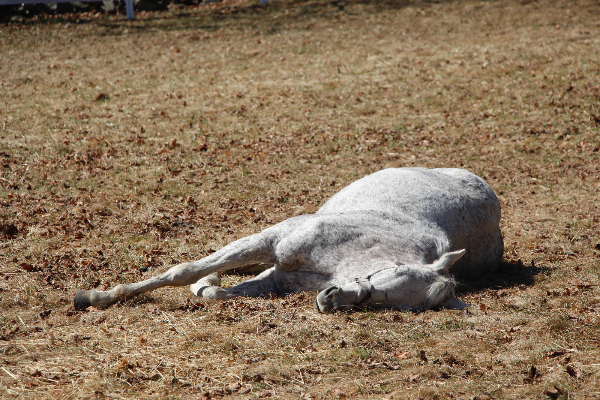 Our Thoroughbred mare Pye has joined NEER North alumni Asha and Jiggs at Touch of Majic Equestrian Center in Groton www.atouchofmajic.com . All three are in the very capable hands of head trainer Meghan Bourque. 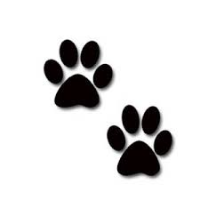 Sincere thanks to those who have stepped up to adopt these wonderful animals. You are a vital part of our mission. Congratulations to Nugget, Triscuit, and Pye! 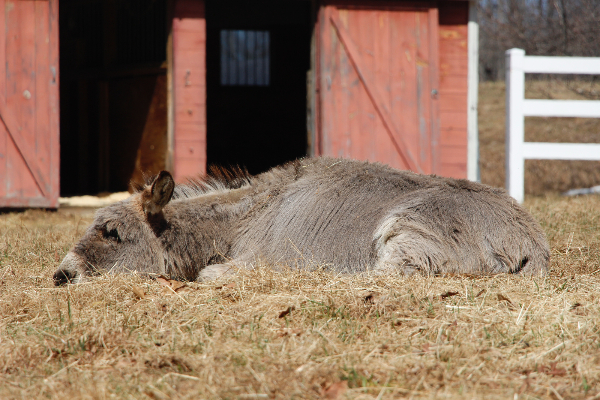 Our new mini donkeys Jerry and Newman have passed quarantine and are now settling in at our barn. They are very cute and friendly. We’ll be sure to let everyone know when they are ready for adoption. Our old friend Violet is back, due to some family health issues. She is super green and can be spooky. We’re looking for an experienced home where she can continue her training. "A mule is just like a horse, only more so."